Lacey Engineering was established in 1998 by Nigel Lacey. Previously Nigel already had a long involvement with the 'Ducati Single', through road racing and his own road Ducati Mk 3 Single. Racing a Ducati Sebring based racer he won championships and obtained podium positions at international level. Racing fuelled his interest and love for the bevel single. Since the start of Lacey Engineering his passion has led to much development of the 'Ducati Single'. This passion has placed these humble road based machines amongst the top in the Classic Racing world . Considerable success has been achieved by customers and friends, using engines built and developed by Lacey Engineering. The results speak for themselves and if you are interested in more details, check the Race Results page. 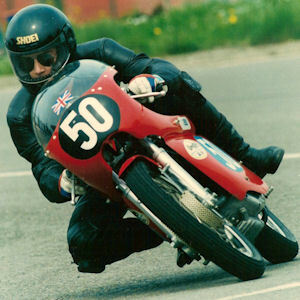 Nigel has been involved in motorcycles in many disciplines since the early eighties. It is however his engineering background that holds the secret behind Lacey Engineering. Before Lacey Engineering began, Nigel worked in the Nuclear Industry for 17 years. Starting with a traditional engineering apprenticeship, his career touched on a vast array of types of engineering skills. Much of the time was spent in laboratories and experimental facilities as a Research Technician. 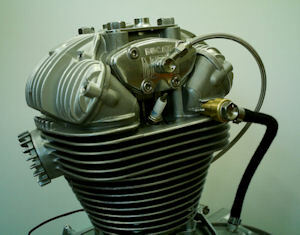 The combination of the skills from motorcycling and experimental engineering, have proved a recipe for success. 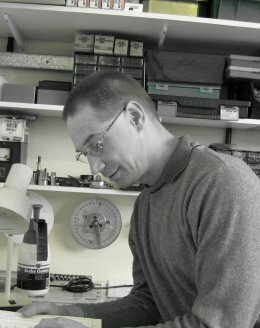 Nigel is a practical engineer, working from intuition and feet on the ground experience, testing and experimentation. He claims not to know all the answers, as nobody does, however no stone is ever left unturned in the quest for knowledge and achievement that fuels the passion. 2008 - New Website. The introduction of this website marked a significant change in the direction of the business. The start of the online shop enabled Lacey Engineering to sell many of the parts which had been specifically developed to enhance the original machine's performance and reliability. These parts had been rigoursly tested and race proven over the past decade and were now available to all customers. The success of this part of the business meant that Edina Champion joined the business full time. With a background of Accountancy and IT this complemented and strengthened Nigel's existing business perfectly. 2010- Lacey Ducati. The time had come to look at the business name and ask whether it truly reflected what was required for a worldwide business. For those customers who did not know Nigel personally, Lacey Engineering could have been any engineering company and it was therefore decided it was time to make the change and Nigel and Edina are now trading as Lacey Ducati. Nowadays with a flourishing parts business Nigels available time is very limited so full engine rebuilds are no longer undertaken . 2011- January 11th- Nigel and Edina became Mr & Mrs Lacey! It seemed like a great idea to also have a change of lifestyle. How about living and working from the same location? Idyllic. So the search began covering most of the South West corner of the UK. Nothing seemed to work, until the search widened to Wales and suddendly the pieces fell into place. It has taken about three years.. so far to complete the move. The new parts business premises have been completed and we are loving living in Wales. We have been made so welcome here and oddly we find ourselves right in the middle of lots of motorcycle activity. A lot of effort has gone into making this 200 mile move happen and now we are a little more settled we hope to concentrate once again on expanding the parts business.